After writing last week about recovery days, I started thinking more about the importance of sleep to pain relief. My mentor, Fabienne Fredrickson of Client Attraction.com says, “How you do anything is how you do everything.” I’d like to get more specific to holistic pain relief and say, “How you sleep is how you do everything.” But what does this really mean? To me, it means if you sleep well, you can spend the day feeling much more well. If you don’t sleep consistently or heavily, it’s hard to be consistent about anything you do during the day. If it hurts to sleep, chances are you are hurting during the day too. So what’s a person living with chronic pain to do? One thing you DON’T want to do is drink more caffeine. It’s our society’s go-to solution for that occasional sleepless night, but a 1997 study showed that patients with chronic back pain consume more than TWICE as much caffeine as patients without chronic back pain. In the same study, anecdotes also suggested that excess caffeine use may also be associated with chronic back pain. So not only does caffeine potentially increase your pain levels, but it can really mess with your ability to sleep. I know that when I was still drinking a mug of coffee in the morning, I was also taking a natural sleep aid supplement at night. When I quit the coffee, I no longer had a need for a sleep aid! How about what you can eat that will make it easier to get a good night’s sleep? A 2012 study showed that the more varied your diet is, the better you will sleep. So try new healthy, whole foods and get plenty of variety throughout the day, week and month. As tempting as it is to have the same breakfast or lunch every day, this is a GREAT reason to switch it up regularly. The study also shows that getting more lycopene, selenium and vitamin C can improve sleep. The best sources of lycopene are grapefruit, tomatoes, papaya, and watermelon. There’s a lot of selenium in shellfish, turkey, brazil nuts, and some types of fish. And broccoli and kale are two fantastic sources of vitamin C! Here’s another interesting idea to consider—be sure to brush your teeth immediately after you awake. Why? Because arthritis has been linked to the bacteria gingivitis—it’s actually been found IN THE JOINTS of people diagnosed with rheumatoid arthritis! Let me know how these ideas help—and what do you do to help improve your sleep? I believe that creating holistic pain relief in your life is a series of small steps that together add up for big gains. Figuring out what works for you is like solving one of those complicated multi-dimensional puzzles with layers and tricky little secrets. BUT … today I am sharing a few of the tricky little secrets I have learned over that last several years with you. Let’s unlock that puzzle together! Getting more sleep: Sleep can be elusive when you are living with chronic pain, but a good stretch of uninterrupted sleep is key to a better day. Sleep is the time when your body is naturally designed to heal, so it’s critical to improving pain relief. But what can you do when the pain keeps you awake? First step: reduce your caffeine intake during the entire day especially later afternoon and evening. Switch from regular to decaf to green tea to water to taper off gradually. Second key element: turn off the electronic devices at least 15-30 minutes before you climb into bed. Studies show that this light is particularly stimulating for your brain—just at the time you need your brain to slow down. Third option: consider dimming the lights throughout your house starting at dinnertime. This creates a ritual that allows your body to wind down naturally towards sleep. Learning to say no: Letting your schedule get overloaded helping other people can be a significant factor in chronic pain. Now don’t get me wrong, I’m not saying that you shouldn’t be a giving person. But be careful with your boundaries and your energy. If helping the same person (organization, club, team, etc.) all the time is creating a drain on your energy and pain in your body, you may want to take a pause on that practice while you address your own health. As a colleague reminded me recently, “No” is a complete sentence. You can also say, “Not now” instead of no. Remember that taking care of you is top priority if you want to help others in the future! Reducing highly processed foods: these processed foods are on our grocery store aisles and restaurant menus. Did you know that most restaurants specifically design their menu items to layer fat, sugar and salt (often over and over) throughout? This makes the food practically irresistible, especially after the first bite. So when you feel like an entrée, appetizer or dessert is too wonderful to stop eating … maybe you should wonder what you’re taking into your body. Asking for help more often: maybe you’re great at saying no, at making healthier food choices … but have you developed a “healing team?” During my experience of chronic pain, I have learned that various types of healing work help me in different ways that are all equally important. For example, having a massage therapist for soft tissue pain helps in a different way than the counselor who helps manage the emotional aspects of chronic pain. And sometimes we don’t need professionals—we just need to ask our friends or family members for a little extra assistance. In my house this has meant “letting” other people do the dishes after family dinners. I used to be afraid they wouldn’t be done “right,” now I treasure the break and enjoy a little playtime with the younger kids. Knowing when to use ice packs: today’s practical tip—if you have pain and don’t know it’s origin or cause, it’s usually safer to use ice than heat for pain relief. Heat can increase inflammation in an area, and this may be the opposite of what your body needs even when it feels good. That said … trust your body’s reactions. If the ice makes a muscle spasm worse, you may be better off with some heat. Increasing hydration: For most of us … it’s hot out there right now! Please be sure to drink enough water to counteract all that heat. Side effects of failing to hydrate properly include: headache, muscle aches, brain fog, fatigue, poor digestion, and more. Today is the day to start carrying around a bottle of water and drinking from it regularly. Your body will thank you! What does a “recovery day” mean to you? Before I started dealing with arthritis, I didn’t know what one was. Now they are an integral part of my life and my holistic pain relief treatment plan. A recovery day is when you specifically schedule complete down time after a busy day or a busy week. Athletes use recovery days to indicate a time when their body will heal and repair from intense training. For people living with chronic pain, it serves much the same purpose. We all need recovery days so that our bodies and minds can heal and repair—and this is truly essential to our survival. Just a few days ago, I was talking with a client who shared that “all she did was sleep” and that her “energy level was almost non-existent.” As we started to break down her schedule during the week, I saw that she was using the recovery day idea entirely appropriately. She would have a busy day or two, and then follow with a slow paced recovery day. We also looked at all the things her body and mind have been through in the last year—moving homes twice, a major injury, plus managing chronic illness. This meant that a lot of healing was necessary in a more long-term sense as well. However, understanding the purpose and use of recovery days is only one piece of the puzzle. The other piece is realizing that we don’t have to feel guilty for needing a recovery day now and again. Guilt about taking time to heal can really slow your body’s ability to do exactly that. On one hand you are supporting your body to feel better, while on the other hand you are saying to yourself, “I’m not sure I really deserve this time to recover.” This is called “chaotic vibration.” It’s like putting your foot on the brake and the gas at exactly the same time—and just as destructive for your body as it is for your vehicle! So I am here to encourage you to look honestly at your calendar, and then really sink into how your body feels physically at this moment. If you need more recovery time, practice scheduling those breaks into your week. If you’re feeling relatively well, then consider giving yourself some preventative down time. Be as gentle with yourself as you would be with your very best friend in the world. Because no one is more important to you than YOU! Health Coach or Fitness App? Someone recently asked me, “Why would I hire a health coach when I can download a free fitness app to keep me on track?” And, you guessed it, I have an answer to share with all of you! Don’t get me wrong—I love fitness apps like LoseIt and MyFitnessPal. In fact I think that these apps are the food diary of the twenty-first century. I remember my first venture into Weight Watchers back in 1990. We received a small paper booklet every week and were told to write everything we ate in the booklet. Then a few years later a calculator-type tracker was available—for about $75 I think.How things have changed! Now these FREE apps have millions of entries in a database that users can continually add to. The apps can tell you all kinds of different nutrition information about that snack or restaurant meal. They approximate your home-cooked meal’s nutrition value with ease. Lots of advantages … including all the things an app will tell you about calories burned during your day. You can even count the calories involved in cooking your dinner! So what does a health coach offer that’s different? I can only speak for my approach, but one thing a health coach does is consider each client as a wholly individual being. The health coach does so much more than focus on calories in and calories out. Even the prevailing health wisdom is calling that an outdated approach. While every health coach has an area of expertise or specialization, they know how to incorporate that knowledge into the reality of a client’s day. For example, I work primarily with people who are interested in addressing chronic pain and inflammation through holistic and nutritional means. There are some very specific steps towards this goal, but based on my experience I can determine whether or not those steps apply to you. A few days ago, I was working with a young woman who contacted me because food shopping and knowing healthy from unhealthy was very difficult for her. After four sessions, including a grocery store tour together, we reached a really important moment. It started innocently enough with a conversation about how great the grocery store tour was for her confidence. And all of a sudden, my client was making connections about her food-related childhood experiences and the fear she feels today. It was a tissue and tears moment, and it cleared away a lot of her tension about food. This story is a perfect example of what health coaching offers that ISN’T available in a free app. 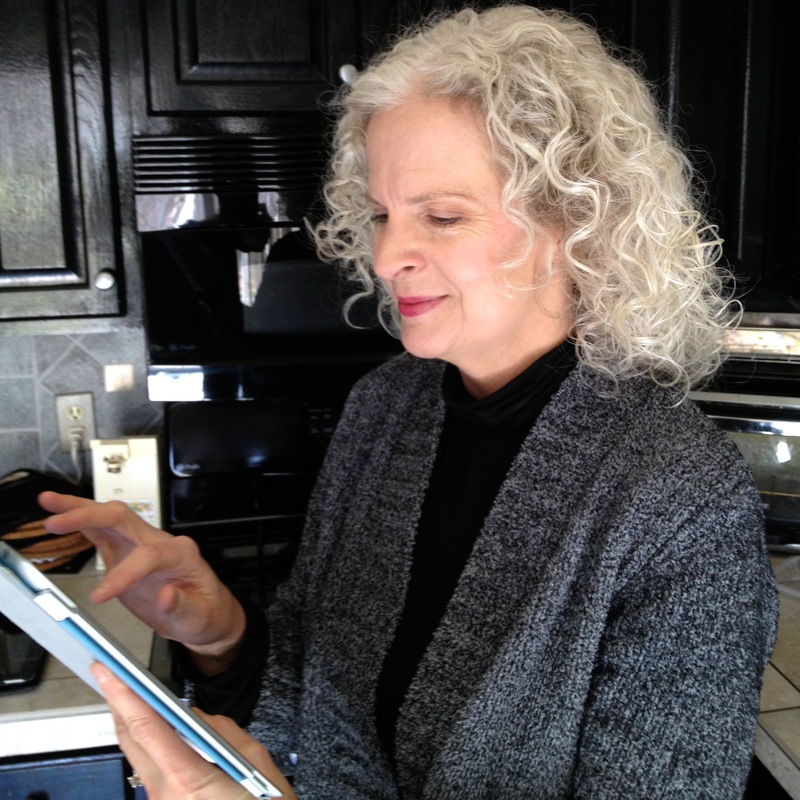 Health coaching offers recognition that each client’s needs are individual. It offers a place to discuss not just what to eat but why to make adjustments. Together clients and health coaches create sacred space where big emotional connections happen. The coach shares practical tips like recipes and lessons in label reading—in a way that’s easy to absorb. Most importantly the health coaching relationship offers trust, hugs and love—invaluable encouragement! Ready to get started feeling less pain and more energy? The best way to determine what program is right for you is scheduling a FREE 45-minute get acquainted call. Simply call or email me today to get started! Lots and lots of people are out there in the blogosphere and health world talking about eating gluten free. I’ve been listening to them for years—have you? Well, I finally joined onto that bandwagon. Here’s a little bit about why I did, and more importantly what it did for me. Every time someone brought up eating gluten free, my response was the same. “Maybe someday I’ll change but I’m not ready right now.” Honestly that’s just a nice way of saying … give me a good enough reason and I’ll consider if it would be worth it to me. I love bread and all things wheat, so being gluten free sounded like a small bit of hell right here on earth. But just in case, I eliminated processed breakfast cereals and limited my bread consumption … okay but I still had the occasional pizza or subs or cookies or cakes. I definitely found that the more healthy, clean, unprocessed choices I made, the better I felt. But gluten-free … nope, I wasn’t ready yet. Well, about 3 months ago things started to shift. As you know, my primary health coaching focus is working with people who live with pain and inflammation. Since that’s my everyday world as well, I spend a lot of time researching this type of information. When I read a great book hoping to gain some insight for a newly diabetic family member, the connections really started to click. What? A book about diabetes talked about gluten? Yup – and inflammation … and the connection between the two. And I found an article that seemed credible covering the connection between autoimmunity and gluten. And I read another book about the connection between thyroid issues, autoimmunity and gluten too. More reading and more credible, scientific connections ensued. And I decided to it was time to give gluten-free living a try. 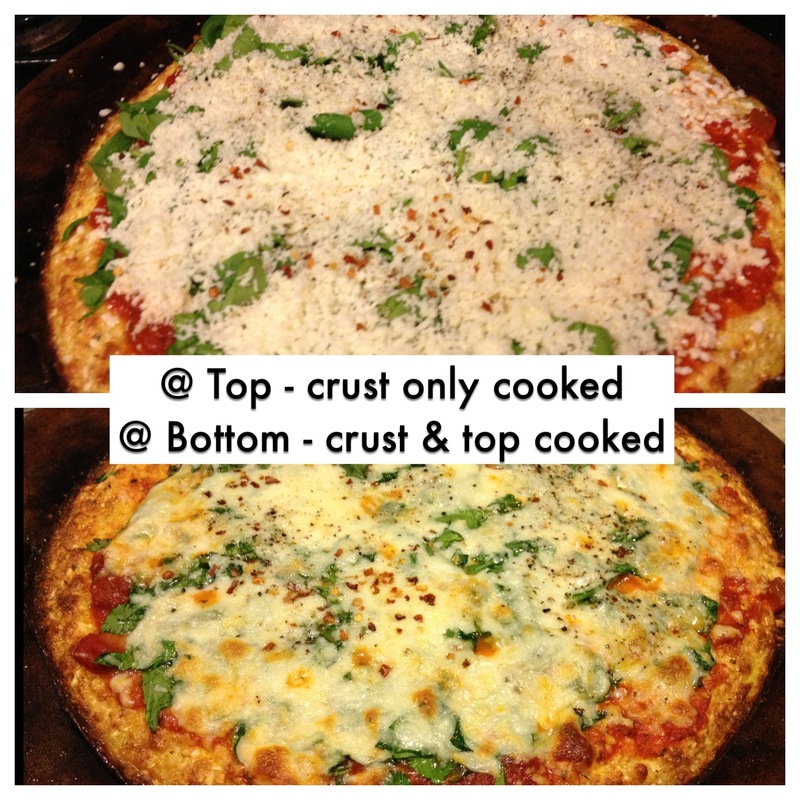 Making pizza with a cauliflower crust … no gluten here! Know what really flipped the final switch? Well I just happened to stand on the scale one morning. The previous evening I’d had two small pieces of pizza and a few baked, breaded shrimps. Shocker – the scale showed I had gained four pounds overnight. Nothing else in my food the day before was inflammatory. But four pounds of water/inflammation packed on just from a “moderate” serving of wheat-based stuff. You should know that I’m not super worried about my weight – it’s healthy and I’m fitting in my clothes. That’s another reason why four pounds overnight just seemed crazy. I can’t say for sure that going gluten-free will help you with these issues. (But I would wish good changes of any type for you!) I can’t say for sure that I will always experience being gluten-free as a positive force in my life. But I am hopeful … and that makes all the difference each morning when my feet hit the floor. Don’t be surprised if you see a few gluten-free recipes peaking up here, and some more conversation about the benefits. After all, sharing information is what I’m all about! Looking for support in going Gluten Free? The best way to determine what program is right for you is scheduling a FREE 45-minute initial health and wellness consultation. Simply call or email me today to get started!